Demolition has started on the massive plant that until recently printed newspapers for the Oklahoma Publishing Company. The sprawling former headquarters for OPUBCO at Broadway Extension and Britton Road was purchased by American Fidelity in 2012 for just under $75 million. The sale was prompted by OPUBCO's 2011 sale to Colorado billionaire Philip Anschtuz. 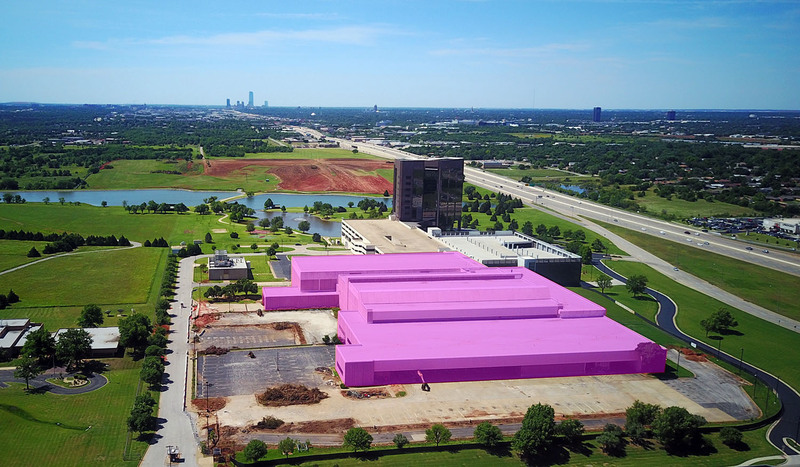 OPUBCO, which relocated to downtown office space, continued to lease the printing plant until September of 2016 when they fully outsourced their printing to the Tulsa World. The plant has been vacant since that time. American Fidelity completely remodeled the 12-story tower as their headquarters and in 2016 added a $10 million parking garage adjacent to an existing parking structure. 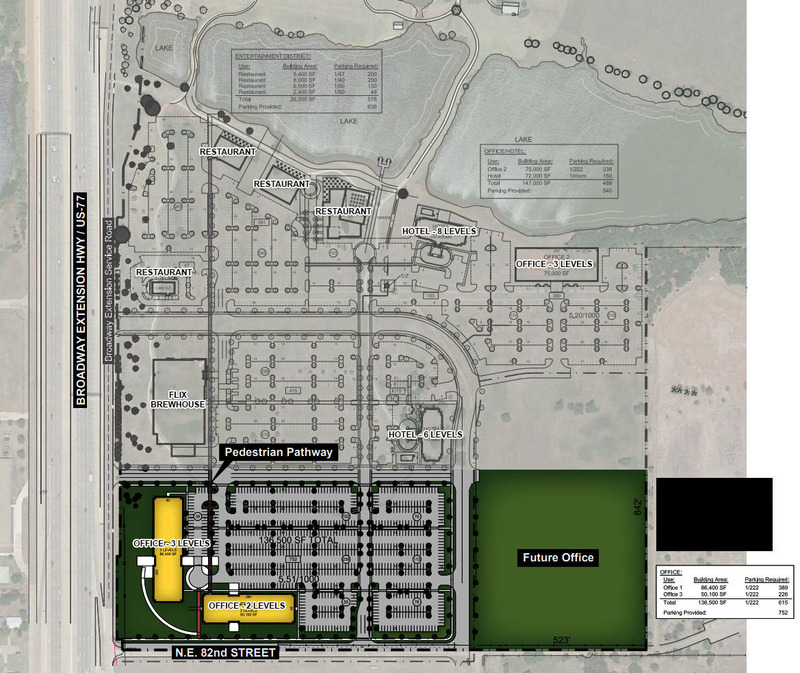 Recently, the company announced plans to develop a mixed-use project on the 51 acres to the south of their headquarters. Just last week, work started in the area with land being cleared and construction fences going up. 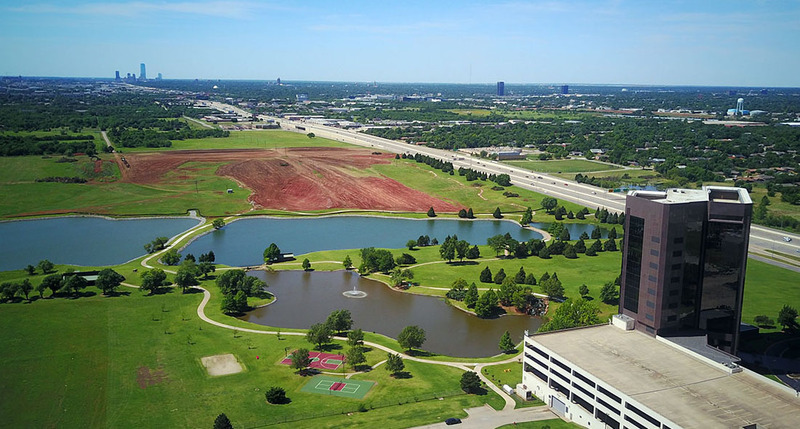 As OKCTalk reported, a Flix Brewhouse will be one of the first tenants in the sprawling complex which will also feature office space, reataurants and hotels, with some of the new buildings fronting the small lakes on the rolling property. Flix theater auditoriums feature retractable tables which allow food and drink to be served before and during each film. The complex will also feature a large bar and restaurant. American Fidelity has not announced plans for the former printing site but Flintco construction has stared work on demolishing the plant which was built in 1986. 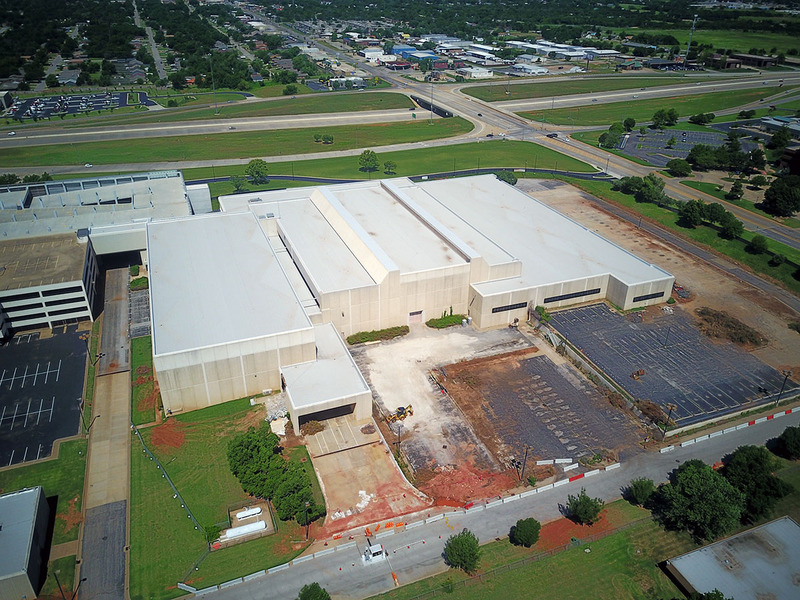 At 280,000 square feet, the demolition is one of the largest ever in Central Oklahoma.